of the most multi-talented and admired musicians of our time. 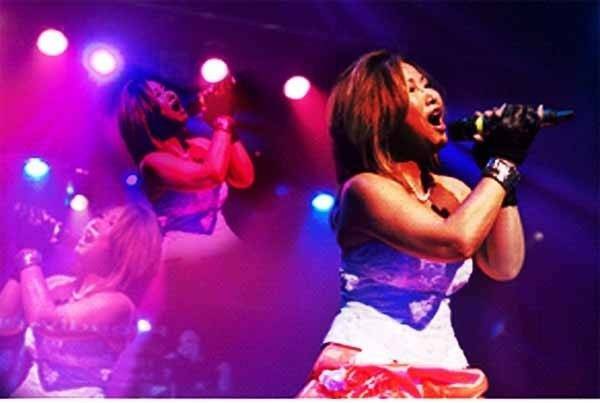 Avi’s music career has been driven and achieved 2 consecutive Hollywood Music Award Nominations; song I’M YOUR LADY nominated in 2008, and two songs from her new CD have received the 2009 Hollywood Music in Media Awards: MEMORIES and LOVE’S FANTASY. CIRCLE OF LIVES was released. In 2008 the hit song I’M YOUR LADY hit to the top chart of the Honorable Billboard which got her nominated for the Hollywood Music Awards in North America making her music known worldwide. Avi Pearce is a very successful international recording artist and performer as well as a beautiful lyric writer. The Hollywood Music Awards 2008 experience was described through the song “Dreams”! A single video has been release of DREAMS aka GO GET IT GIRL is now available for download. New single THE PATH OF EASTWOOD aka AMERICAN DREAM, is dedicated to the legend Clint Eastwood himself. This is a collaborating song, music by Orchestration Randy Vild. Melody and lyric by Avi Pearce. New digital single released "Be the Change aka You are the World"
in Haiti, also Avi has written the song to make the world aware. She wants everyone to see that each of us can make a difference by given a helping hand. Love is to given to heal the wounded. You never lose by loving, only lose by holding back. Avi composed and performed this song to embrace the Universal Aftershock Haiti Benefit Music Concert tour 2010 effort. Recording AVI PEARCE is fulfilling the wealth garden of music. Avi Pearce is a World-pop fusion artist who versifies and carried throughout variety of musical styles such as Adult Contemporary, power punk pop… She has a wide vocal range with a modern fresh vibe that stands out as well she has a conventional style of vocal. Avi’s music is truth originated and made to extend beyond the ordinary musical World. * 2011 HOLLYWOOD MUSIC IN MEDIA AWARDS NOMINATION for her newest song "MOONLIGHT"
* 2 CONSECUTIVE HOLLYWOOD MUSIC AWARDS NOMINATIONS, 2008 AND 2009. * 2 CONSECUTIVE BILLBOARD MUSIC RECOGNITIONS HIT SONGS WRITER, 2008 AND 2009.
" You are the World aka Be the Change" was born to embrace the 2010 music concert Haiti benefit.